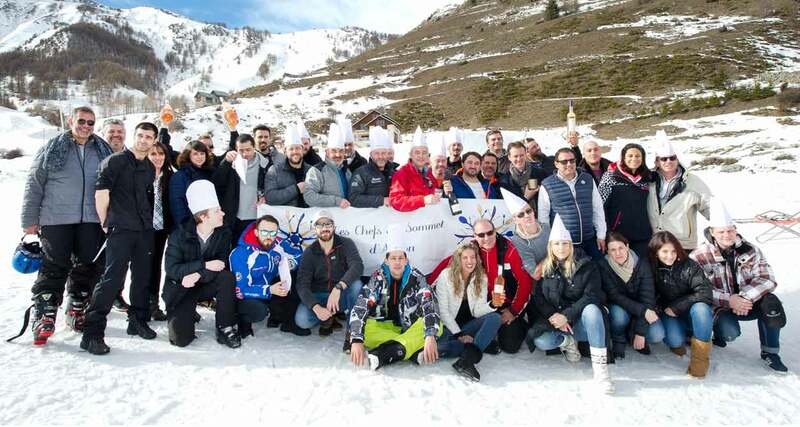 For its 7th edition, Les Chefs au Sommet d’Auron 2018 celebrated the haute gastronomie in the snows of Mercantour with prestigious dinners by talented chefs and pastry chefs who also hosted delicious show-cooking and gourmand workshops at the foot of the slopes. 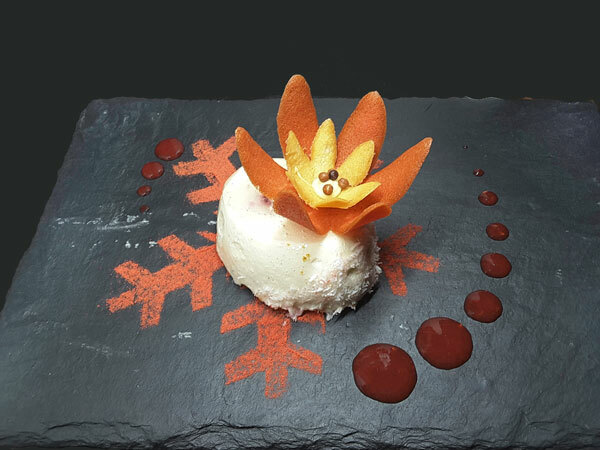 Les Chefs au Sommet d’Auron offered from January 20 to 26, 2018, summits of tastes, mountains of flavors and peaks of culinary excitement in the heart of the iconic Mercantour ski resort. 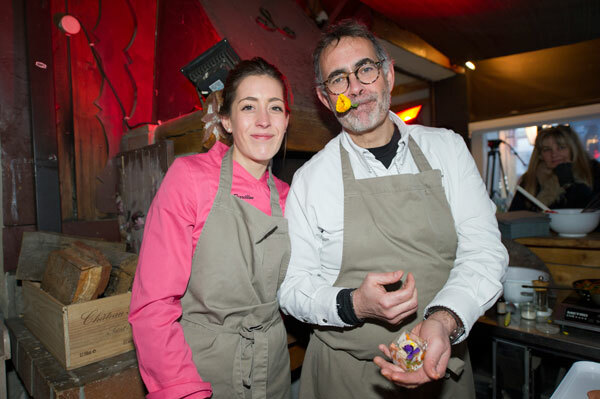 For seven years, the Festival of Mountain Gastronomy has been animated by talented chefs and pastry chefs from the French Riviera who share an authentic moment of culinary pleasure and conviviality with the tourists and inhabitants of Haute Tinée. 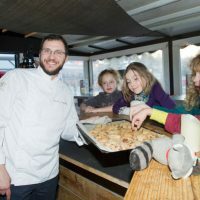 This year, pastry was particularly in the spotlight with – for the first time – a pastry chef as godfather: Christian Cottard from Maison Cottard in Antibes. 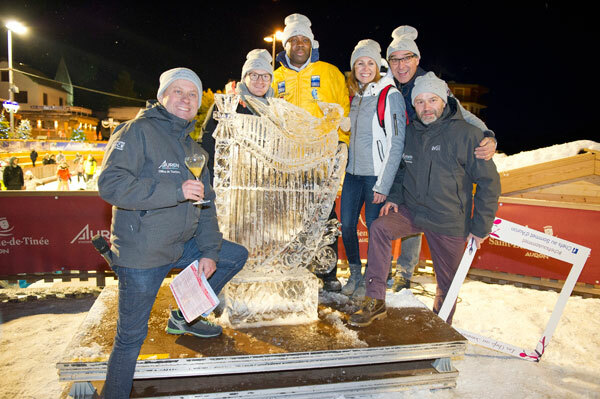 With the sumptuous summits of the Mercantour as background, Les Chefs au Sommet d’Auron celebrated Haute Gastronomie with culinary treats and sharing, according to a unique recipe. 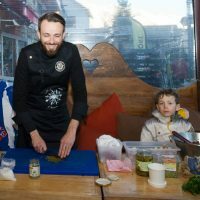 Take a brochette of renowned chefs, season with the unique flavors of the products from our mountain, add a touch of madness with the Toques Brûlées, a hint of pleasure with cooking and pastry workshops for adults and children, and spice up with a large ladle of relaxation, happiness and well-being. 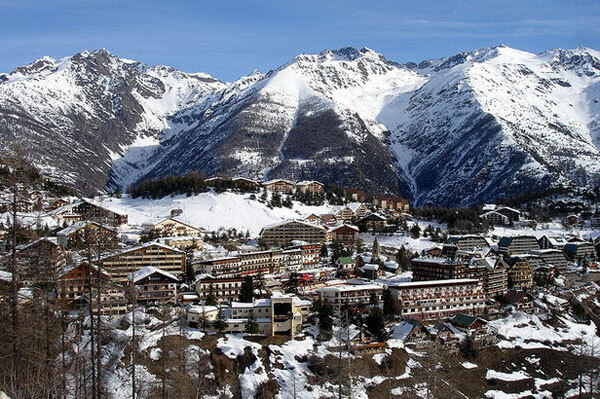 Finally, sprinkle with snowflakes and let simmer for seven days in the sun of the peaks of the Mediterranean Alps. 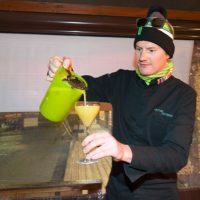 Under the patronage of the famous pastry chef Christian Cottard, Les Chefs au Sommet d’Auron offered seven days of culinary demonstrations, lectures, ludic workshops and 5 to 7 gourmands around the ice rink accompanied by the delicious cocktails of Victor Delpierre, the Barista/Cocktails World Champion. 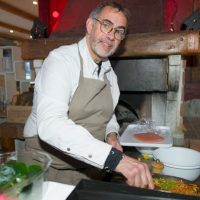 Every evening, the restaurants of the Auron resort, Saint Dalmas-le-Selvage and Saint Etienne de Tinée have hosted in their kitchens some talented chefs and pastry chefs who concocted sumptuous gourmet dinners at the unique price of 45 euros for the inhabitants of Haute Tinée and holidaymakers. These exceptional dinners were savored by the fireplace, in the relaxed and warm atmosphere of the dining rooms with the woody and mountain decor of alitude restaurants. 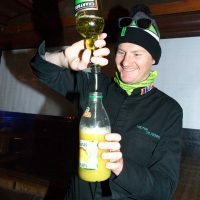 On Sunday, near the Auron skating rink, skiers and foodies enjoyed a salty and sweet live show cooking during a giant barbecue hosted by the Toques Brûlées, led by the dazzling chef David Faure. 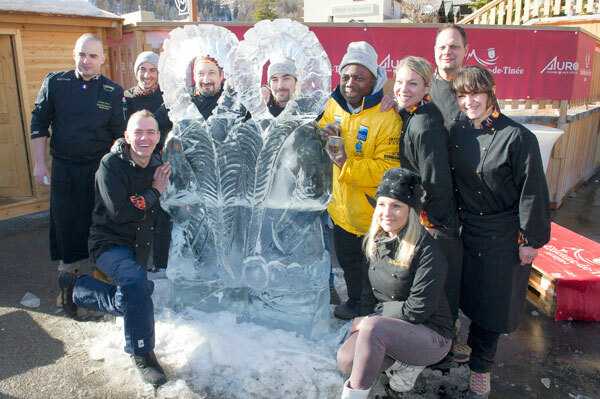 The supercharged chefs ignited Auron’s heart by cooking and making gourmet recipes such as Polenta with Olives, Organic Mountain Soup, Chocolate Fondants, Caramelized Pears, Brown Chocolate Ganache, Chantilly, Crumble, Meringue, Almonds Tapered and Faisselle Fermière Bio… while admiring Mario Amégée, the three-time World Champion in Ice Sculpture, sculpting funny shapes of character. The chefs and tourists then happily took some pictures by placing their faces in the center of the sculpture. For seven days, the resort has experienced peaks of gastronomic delights with culinary tastings, conferences such as the one on Chocolate with the godfather of the edition, Christian Cottard, the Vegan by Camille and Willy Berton, Barista: “a new profession at the service of the margin” by Victor Delpierre, World Champion Barista /Cocktails, or “Nature & Bio Wine” with Philipponnat. Isabelle Forêt, oenologist journalist and author of the bestseller Femivin, exposed the subtleties of food and wine pairing in haute cuisine. 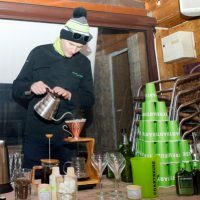 Stéphan Perrotte, Jam World Champion, hosted a jam workshop and the Union des Artisans Patissiers Chocolatiers Glaciers of the Alpes Maritimes created a Chocolate Fondue at the foot of the slopes. 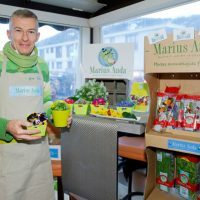 Yves Terrillon gave his floral version of gastronomy in the workshop La Cuisine des Fleurs in the company of Marius Auda. 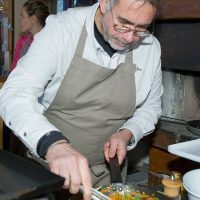 Every evening, the restaurants in Auron, Saint Dalmas-le-Selvage and Saint-Étienne de Tinée hosted in their cuisines the talented chefs and pastry chefs from the region who concocted sumptuous gourmet dinners at a unique price of 45 euros per person. These exceptional dinners are savored by the fire, in the relaxed and warm atmosphere of the dining rooms decorated with woodwork of mountain restaurants. 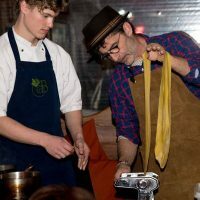 The gourmet menus, consisting of an amuse-bouche, an starter, a main course and a dessert, have delighted both pupils and taste buds. 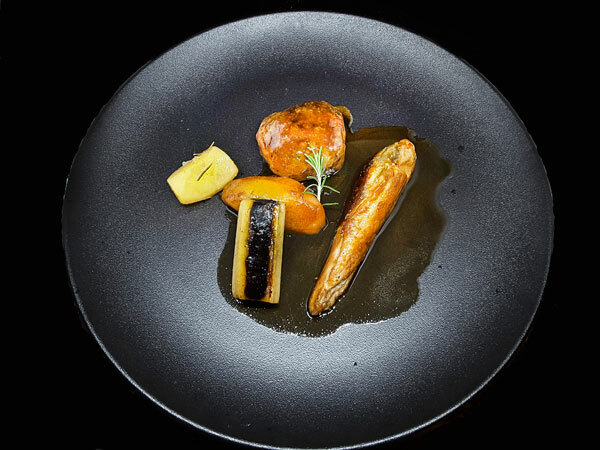 The gastronomes savored a very wide range of French culinary art with the products from the region, sublimated and honored by the theme Bio and Locavore of the 7th edition of the Chefs au Sommet d’Auron. A few flavors of the Festival: Le Forest with Noëlle and David Faure, Laurence Dupertuy – dessert by Claire Verneil; L’Etoile with Vegan cuisine by Camille and Willy Breton; La Table du Chalet with Nicolas Vie – dessert by Julien Pambour – aperitif and digestive by Victor Delpierre; La Brasserie with Mathieu Allinéi -dessert by Morgan Chullo; La Bergerie with Christophe Chavola – dessert by Stéphane Mangin; Le White with Benoît Witz and food/wine pairings by Isabelle Forêt – digestive by Victor Delpierre; Le Gallion with Bessem Ben Abdallah – dessert by Maxime Simonot; Les Vallons with Sébastien Krieger – dessert by Marc Payeur; Le Slalom with Jérôme Clavel – dessert by Serge Serain; Les Pivottes with Christophe Dufau – dessert by Jean-Michel Llorca; L’Alisier with Emmanuel Lehrer – dessert by Jean-Luc Kennealy; Le Bataclan with Dominique Nouvian – dessert by Clement Cottard; Le Petit Flocon with Laurie Aimonetti – dessert by Lara Filipecki; Le Gratusier with Ronan Kernen – dessert by Bruno Laffargue; Le Régalivou with Basile Arnaud – dessert by Fabrice Didier. 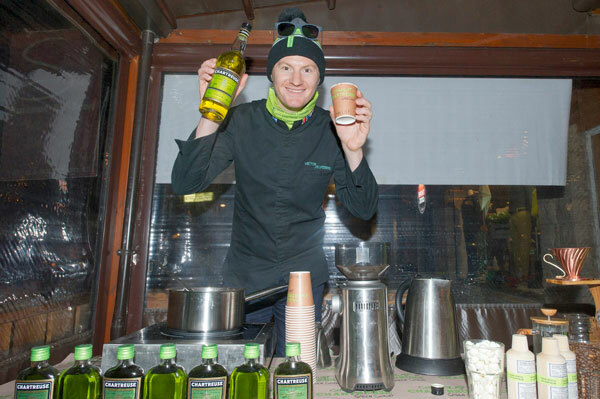 The Festival of Gastronomy was born from the initiative of members passionate about gastronomy from the association of the Traders of Auron and Saint Étienne de Tinée who, having woven ties of friendship with many starred chefs from the region, created the Festival in February 2012. The gastronomic event Les Chefs au Sommet d’Auron is organized by the Association of Traders and Craftsmen of Auron and Saint Étienne de Tinée with the support of the municipality of Saint Étienne de Tinée, the Tourist Office, the SEM of Cimes of Mercantour and the Chamber of Trades of Alpes-Maritimes and Artisans Arts and Delight. 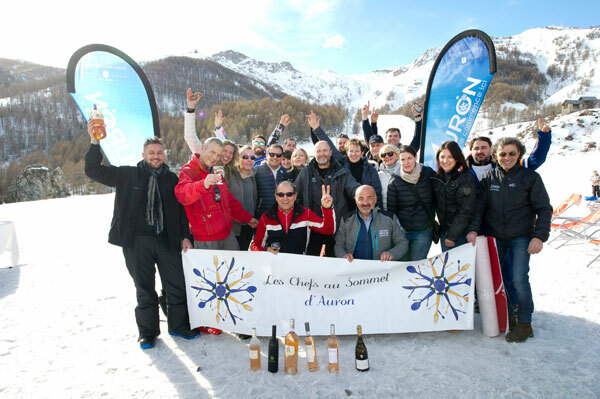 Like any large-scale event, Auron’s Gastronomy Festival has the support of many partners who made Les Chefs au Sommet d’Auron sparkle with thousands of fires.